These are the reviews for Sweet Briar Barn. There are 21 reviews. The property owner was friendly, helpful and approachable. When a problem developed with the kettle, it was replaced immediately. The quiet, country location was just right for us, and all the places we wanted to visit were close at hand. It's a beautiful cottage. Very comfortable , good location for travelling around Norfolk. It's near the village of Coltishall and also near the narrow guage railway. This is a great little spot and a great place to base yourself for a Norfolk Holiday. The property itself is as close to perfect as you could get and the lovely fresh cake we got on arrival set the tone for a perfect week. Great location and lovely accommodation. The owner is very helpful and on hand should you need anything or if something needs sorting out. The outside is as lovely as the pictures even in a wet and windy October. The inside is well equipped and clean and tidy. It could possibly benefit from some more characterful light fittings and more rustic pictures to match the outside image. Overall a lovely place to stay. Very friendly owners beautiful and welcoming cottage. We wanted to move in! Lovely quiet setting but within a stone's throw to the nearest village, which itself was lovely. An excellent base from which to explore Norfolk. The house itself was very well maintained, well stocked and a very good size for a large family. The children loved the setting with a reasonable sized garden for them to stretch their legs to play. Everyone enjoyed their holiday and had nothing but praise for the cottage. A beautiful cottage and a very peaceful setting, it felt very rural but was not far from civilisation. A lovely cottage which was very well supplied. It was a good area to be in, as there was plenty to do with the children. Superb cottage in lovely countryside surroundings. A beautiful building, immaculately clean with everything you need available. The location is great for accessing the beach, the broads and many other activities. We would love to stay again. A beautiful cottage in peaceful surroundings, yet perfectly located for exploring this great county. The cottage was very well equipped and in a lovely location - peaceful and yet convenient for the many attractions of the Norfolk Broads. It was cosy, warm & welcoming. In a pretty area, a lovely barn and an excellent garden for youngsters/sitting outside in nice weather. Very convenient for Norwich and North Norfolk. A very happy week, I would certainly recommend Sweet Briar Barn. A great 'get away from it all' location. Sweet Briar Barn is delightful. 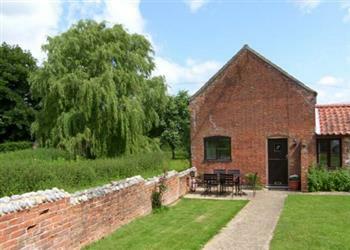 Sweet Briar Barn is a lovely cottage in an idyllic location, which was very clean and well maintained with a good level of equipment. I would definitely recommend this cottage to my family and friends. We spent one week at Sweet Briar Barn and loved the cottage - it was beautifully presented, with everything we could possibly have needed for our family of five and with many of those 'extra touches' which made our time there extra-special. It is set in a beautiful, quiet location and is perfectly located for the many local attractions around the Broads, as well as only being a short drive to the many beautiful beaches. We could not have wished for more! Excellent accommodation, very clean, everything we needed. Good Location. We really enjoyed our holiday, a credit to the owners. Everything was carefully thought out and up to a very high standard. The cottage was beautifully presented and in an ideal location. It had everything we needed and was perfect for our family holiday. We thoroughly enjoyed our stay, thank you 'Sweet Briar Barn'! 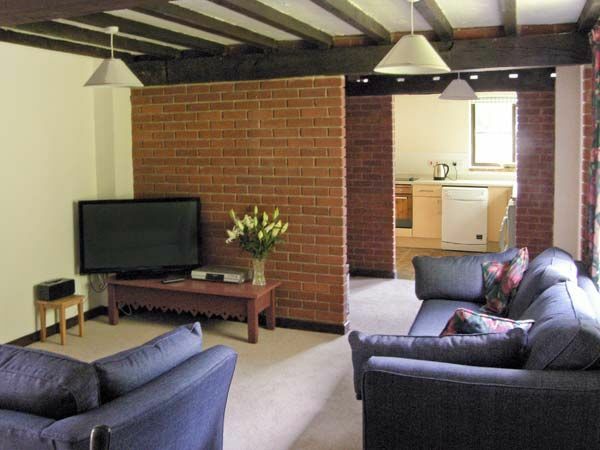 If you're looking for other cottages around Sweet Briar Barn, we've got some cottages below which may take your liking. There are 73 cottages within 5 miles of Sweet Briar Barn - and they have reviews too.